Welcome to the Buford Academy Spring Scholastic Book Fair. 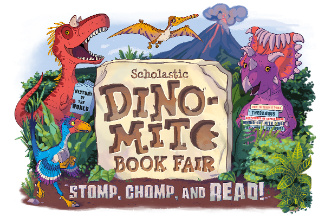 We are sooooo "egg-cited" to take our students and staff back to the days of the dinosaurs with our Dino-MITE Book Fair theme. As always, we can not make the book fair happen without a ginormous amount of support from parents. We are asking for your volunteer time before this Dino-MITE fair goes "extinct". Please see the sign up genius below for open volunteer shifts and choose 1-2 based on your availability. We look forward to working together soon to make this a fantastic experience for all that attend.